Eg Skejten, Elizabeth Tyler 1985 Fuglsang Kunstmuseum One of the advantages of becoming older is that you also, in very a small way, become part of history. Having works included in the collection of an art museum is a great privilege because, when they have been there long enough, they too become history – art history. 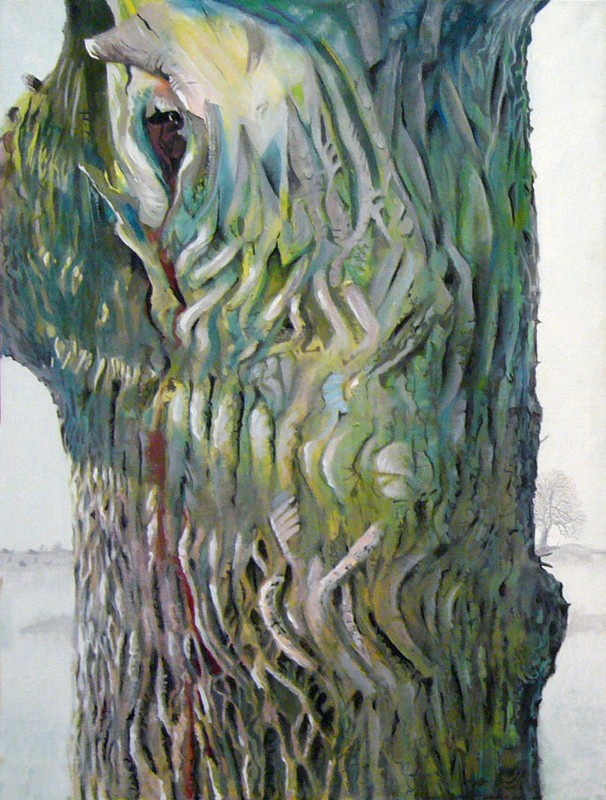 "Tværsnit - kunstnermotiver gennem 100 år"
Very cool painting of a tree!